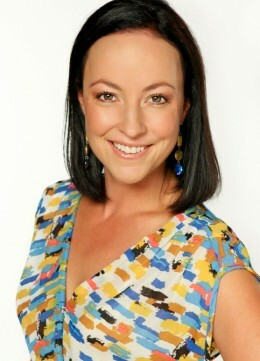 Larelle Leeming | DRTV Talent. Direct response television talent. Female and male talent for your direct response tv campaigns. Larelle is always looking for new & exciting challenges to embark on. Her genuine enthusiasm, warmth & professionalism, is gaining her a reputation as the one you’ll think of first, for marketing your product. Larelle started in performing arts from a young age and then furthered her study at the Australian College of Entertainment, Academy of Dramatic Arts and most recently she completed studies at The Max Rowley Media Academy. Not only has she featured in many successful TV Advertising campaigns but Larelle has also appeared in quite a few Advertorials on the morning shows for all 3 networks for various products. ‘Larelle has also clocked up numerous hours working in a live-to-air TV environment on Australia’s only Shopping Channel TVSN. This has seen her expand my skills in ad-lib, but don’t fear, Larelle is equally as comfortable using auto-cue and of course, memorised scripted presenting & voice over work. Add to all this the fact that she is a new Mum and Larelle’s energy and enthusiasm for her craft and her experience and expertise with the TV Camera, ensures she will be the best choice you make for your next campaign.